The Textile Museum: A “Must See” in Washington DC. Experience by Mary Gallagher . . .
For over 20 years I had the immense pleasure of living in one of the world’s most culturally active cities, Washington, DC. There is never a day or night that you are without outstanding music, food, dance, theater, gallery openings or other cultural events and many times they are free! As a member of the “culture vulture” press corps, I had the opportunity to meet many of the world’s most famous artists from every medium and see constantly revolving treasures from the world’s greatest collections. Most tourists think they will spend a few days or long weekend and “do” the Smithsonian Museum not realizing that this encompasses 20+ buildings (huge buildings) in the district alone. Then there are more away from the Mall and downtown. Now add into the mix galleries and events at all the universities and colleges, religious institutions, independent theater – live and film, historical and special interest places plus pop-ups! After living in the area for 20+ years and aggressively attending openings and shows I didn’t come close to seeing it all. 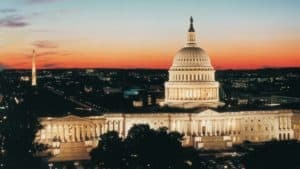 Washington, DC is probably in the top three greatest cities in the world to visit, in my opinion, on or off a budget and unlimited fuel for anyone’s interests. 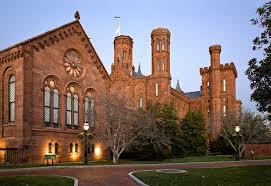 The Smithsonian Museums and others are free. The public transportation is outstanding. It’s always changing with new shows, restaurants, and exhibits. Unlimited Festivals and special celebrations. There is a strong multicultural representation. I guarantee even if you live in the area and don’t have a job to sop up time you can never do it all. Trust me, I ask myself every day why I ever moved away! The original home of the Textile Museum. 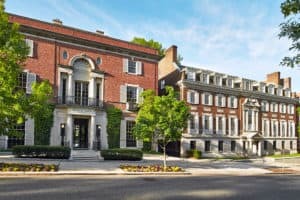 But my objective here is to acquaint you with one of DC’s greatest and varied cultural pleasures The Textile Museum, I knew it, once located in a historic mansion near Embassy Row, and now in a larger space as a part of GW (George Washington) University Museum. A little away from the Mall and Georgetown shopping, it’s located on the GW Campus, The Textile Museum is one of the absolute must stop for any tourist from any state or country. You won’t find mammoth halls but, like the Renwick, specific treasurers in a genre that on occasion you may never have heard or even thought of. Just one of John Thomson’s (1868-1872) thousands of photographs. 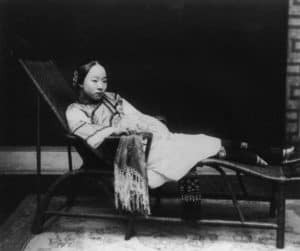 A few years back I caught an exceptional exhibit China: Through the Lens of John Thomson. For many years John Thomson’s photographs were unknown and not even developed from boxes of original glass plates hidden away in London. If my visit to DC had been longer than three days I would have gone back multiple times. In 20+ years of living in DC, I tried to never miss an exhibit or event at the Textile Museum. They have frequent lectures and classes particularly and not surprisingly to do with Textiles Their classes on Shibori are something not found in South Carolina! June opens a show featuring The Ebony Fashion Fair that broke barriers to bring African-American models to the runway and to bring the runway to small towns and big cities across the United States. Visit Inspiring Beauty: 50 Years of Fashion Fair by July 24 to experience this trailblazing show through dozens of stunning ensembles by leading designers. Join in for related programs that offer an up-close look at the history and fashions on display. Hanae Mori design at the Textile Museum. Hanae Mori’s stunning ensemble of silk, chinchilla, and gold leaf is one of the showstoppers of Inspiring Beauty: 50 Years of Ebony Fashion Fair. Join Curator Lee Talbot in the galleries to learn more about Mori, one of Japan’s earliest couture designers, and her work. Knit in Public Day at the Textile Museum. Round up your yarn, needles, and fiber-loving friends, and find a cozy spot in the museum to work on your latest knitted creations. Exhibition curator Joy Bivins of the Chicago History Museum will share the inside scoop on what it took to choose the themes, stories, and fabulous fashions of Inspiring Beauty. Using the word lecture always seems so stern, boring and dry but trust me not at the Textile Museum. Bigger isn’t always better. Author and dealer John Wertime will introduce you to a selection of beautiful, diminutive Persian weavings from a private collection. Attendees are encouraged to bring examples of this type to share with the group. More than a dozen carpets from The Textile Museum’s collections are featured in Discover Carpet Art, a new website organized by the Museum with No Frontiers with partners from around the world. 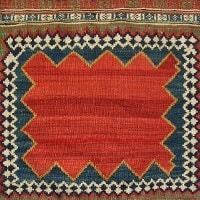 The growing database of carpets and related images spans from the Neolithic period to today. They would like us to shop for special occasions but to me, their mind-blowing shop screams “Shop for me every day!” and if someone else is lucky enough I might get them a gift too! Find unique gift options at the museum shop from all over the world by skilled artisans.For more ideas or to place an order, call 202-833-1285, email museumshop@gwu.edu, or visit the shop during the museum’s public hours. Go online as I haven’t touched all the programs available just the month of June. Get on their mailing list (or become a member) so the Textile Museum can be your home away from home! Oh, and next door is the George Washington University Museum. Eat a hearty breakfast it’s going to be a long day! The museum is highly accessible inside and out, including sidewalks from the nearby Foggy Bottom GWU Metro stop. Except for special events, the Textile Museum is not appropriate/interesting to children.